Hydraulic power, functional design, durability are only some of the features of this incredible piston pump. 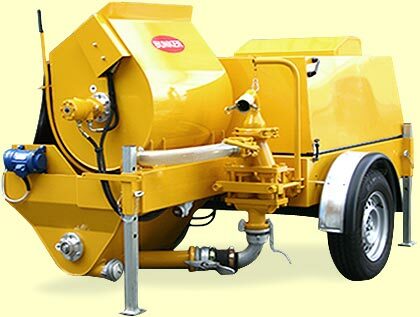 It can pump and spray aggregates up to 8mm at high pressure (40-70 bars) and reach pumping distances over 100 m thanks to its powerful Diesel engine but above all to its output and features of its mortar piston pump. The S38 is a hydraulic plastering machine with progressive output (from 0 to 60 l/min) and pressure regulation. This solution enables to inject cement grouts, to plaster and convey mortars with the right output without any material waste. An extremely versatile machine. 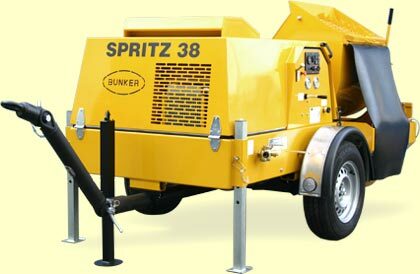 With its large 180 l capacity mixer, its compressor and remote control, you can pump and spray the following materials daily used on job sites: traditional and premixed plasters and refractory mortars, self-levelling floor screeds, concrete up to 8 mm grain size (spritz beton), inject cement grout and bentonite into micropiles, anchors, tunnels. This machine is suited for the building but also for the geotechnical sector. A multipurpose machine that can be used in construction and also in the geotechnical sector.